Welcome to Moana Blu, the ultimate in exclusive beachfront vacation rentals. 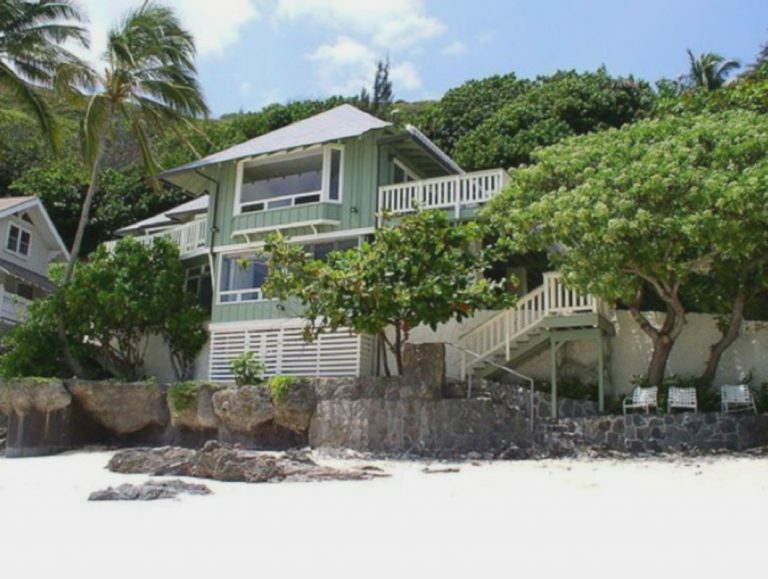 Experience the charm of beachfront living along Oahu's most pristine coastlines! 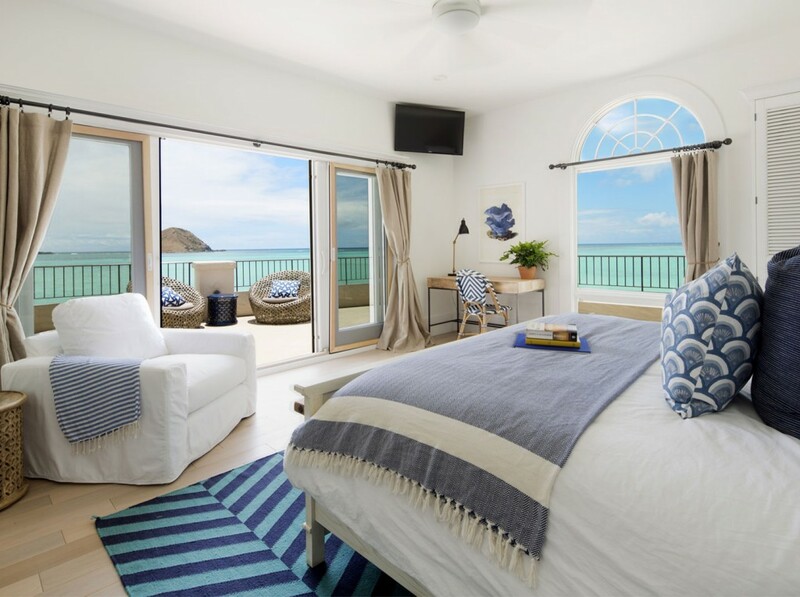 Whether you prefer the serenity of Lanikai, the hustle and bustle of Honolulu, or the natural drama of the North Shore, the vacation rentals of the Moana Blu Collection offer a window on the very best of Oahu. Family owned and operated, each of the incomparably located and uniquely appointed rental properties offer a rarified escape from the everyday. 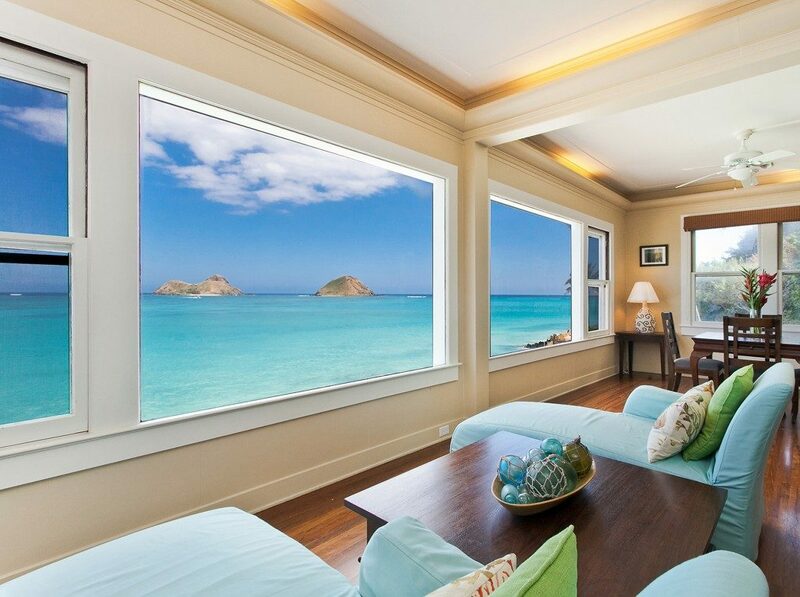 A stay at Moana Blu Lanikai is much like a return to a Hawaii before the first hotels even existed. 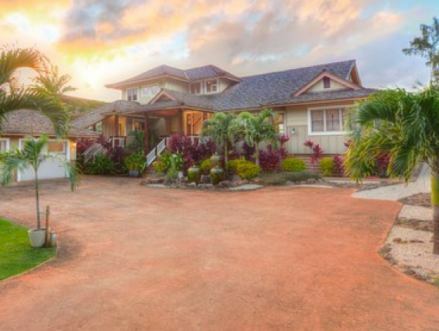 Featuring historic homes dating back to 1918, this tranquil retreat is located on a magnificently preserved, five-acre family estate with awe-inspiring views of the famed Mokulua Islands. Here, relaxing mornings ease into sunny afternoons. 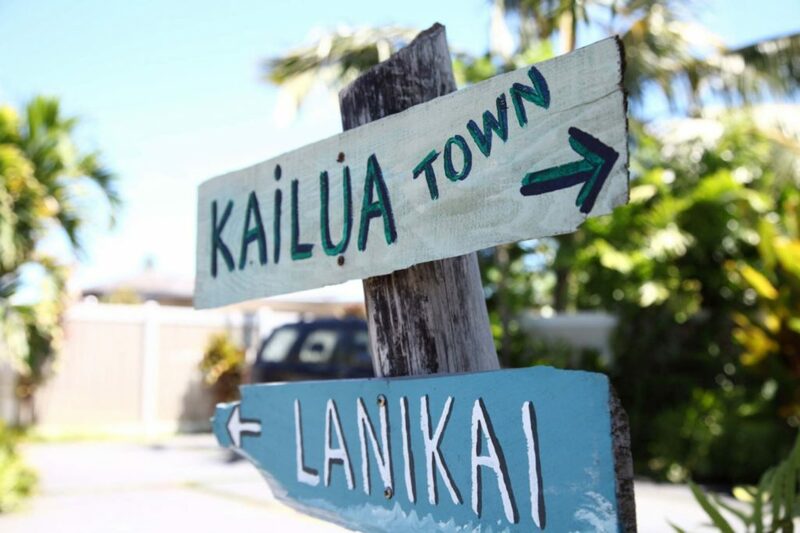 Kailua town is just a short eight minute drive away to shops and dining. Let the rest of the world melt away in this little piece of heaven. Situated far from the hustle and bustle of Waikiki, Moana Blu North Shore is situated oceanfront on world famous Sunset Beach. With miles of sandy beaches spreading out from your doorstep, every day is an invitation to lose yourself along one of Hawaii’s most breathtaking coastlines. Home to both quiet alcoves and jaw-dropping surf breaks (considered among the very best in the world), the North Shore is for many the very picture of wild, untamed paradise. 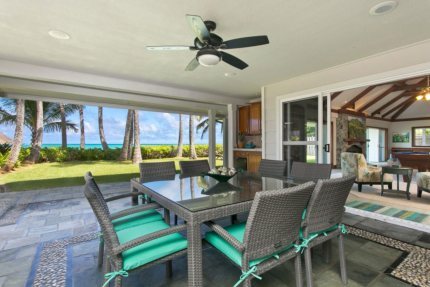 A stunning, gated oceanfront villa that offers a unique Hawaiian heritage, newly renovated interiors, and an unrivaled sense of privacy. 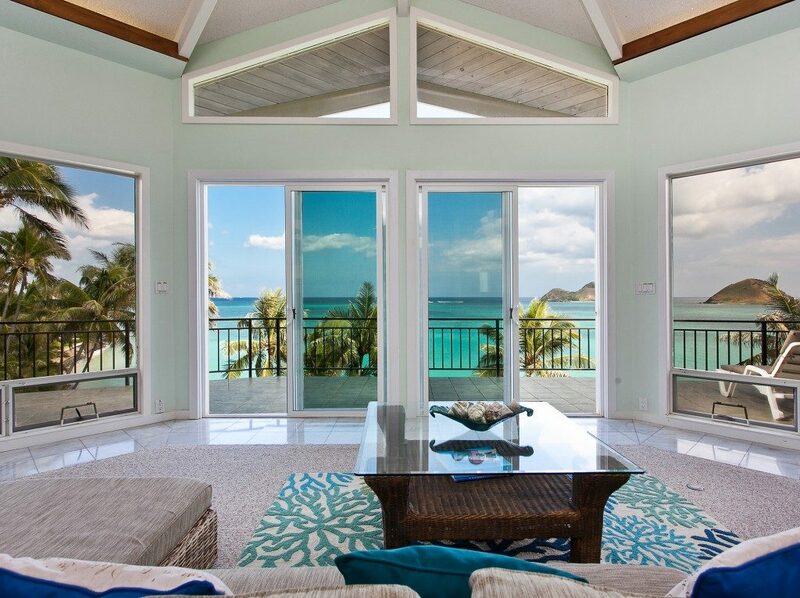 A bright and airy island home with spectacular ocean views, nestled directly above an exclusive white sand beach. A picture-perfect beach home with unobstructed ocean views and access to a pristine white sand beach right outside your door. A unique and spacious 3 story home with unbelievable ocean views and easy access to a secluded white sand beach. Perfect for families and large groups. A luxurious, custom home ideally located in a gated, oceanfront community on Sunset Beach, offering miles of sandy beach and world class surf right outside your door. A lovely 2 story, custom built oceanfront home with gorgeous detailing throughout is our newest addition to the Moana Blu Collection. 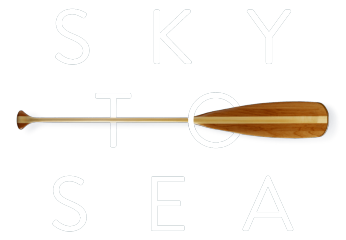 Kayak to an island. Laze on a hammock. Hike a bamboo forest. Explore a local boutique. Do it all, or nothing at all. Your call. Just when you thought paradise couldn’t get any better, we offer a variety onsite services and off-site recommendations to customize your experience.